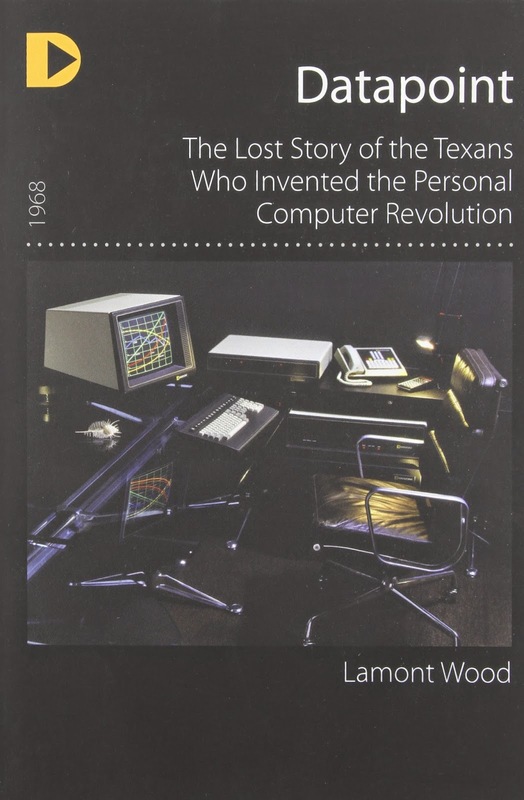 The Personal Computer Revolution started in San Antonio, Texas. The story of how the first Intel 8008 microprocessor was designed from the logic of the Datapoint 2200 Terminal is not well known. This story has many parts and the information by Gordon Peterson is fascinating reading. I received a very informative response from Gordon Peterson to my video about the "Computer Terminal Corporation" (CTC) 2200 Terminal. The famous radio personality Paul Harvey would say - here is the Rest of the story. You can read Gordon's fascinating reply below. I purchased the book he recommend about the CTC story. WOW it is an exciting read. The CTC story and the people involved is really an important story about the creative effort & computer that started the Personal Computer Revolution and the first 8 bit microprocessor for Intel ---- the 8008. Here is my first blog about the Datapoint 2200 "CLICK"
Gordon worked for Datapoint for 9 years and had a inside view of the of personalities, creation of products and the rise & fall of the company. The Datapoint 2200 was a revolutionary machine for a whole lot of reasons. It was the first general-purpose computer designed for single-user, desktop use, and that looked more like a piece of office equipment than like a piece of exotic electronics. I worked in Software Development / Advanced Product Development / R&D at Datapoint for more than 9 years, and it was a very rewarding time. I designed and wrote the world's first commercially available LAN software there... the company sold over a billion dollars' worth of that product. I also was the lead developer of the disk operating system there for several years. A lot of us Datapoint folks are on the DatapointComputers Yahoogroup. Also, there's a wonderful book about Datapoint's key role in the creation of personal computing... highly recommended. I was aware of "Computer Terminal Corporation" during my career teaching about instrumentation and computers at Virginia Tech however I seems to have missed a lot of the story. I am delighted to have had one of the Datapoint 2200 on display in my museum. I also have a Datapoint 1100 in the computer warehouse that is in nice condition. The entire Bugbook Computer Museum inventory has been moved to the "Computer Museum of America" in Roswell, Georgia. The move was completed in March of 2016. Any references to equipment in the "Bugbook Historical Microcomputer Museum" must read - as the Bugbook Computer Museum existed in January 2016 and earlier. If you are interested in the start of the microcomputer revolution and the history of the pioneers - this is a must read book.